Adding to clear the ambiguity over Face ID security, he talked about changing face structure such as plastic surgery and hair color. Federghi said that Face ID has an adaptive feature. Ever since Apple's iPhone X was released, the Face ID feature has created ambiguity over issues like privacy and data security. However, Apple has made it clear that it does not gather any customer data. It remains on the user’s device and is never sent to the cloud for training data. Adding to clear the ambiguity over Face ID security, he spoke about how facial structure can be changed through plastic surgery and the difference hair colour can make. Federghi said that Face ID has an adaptive feature. Basically the re-training process take place in the Secure Enclave. This re-training does not happen in Apple’s cloud. In the Secure Enclave, this facial data turns into an irreversible mathematical model. Thus, the facial data cannot be reversed to form the face again. Moreover, government and law enforcement agencies cannot have access to this data. 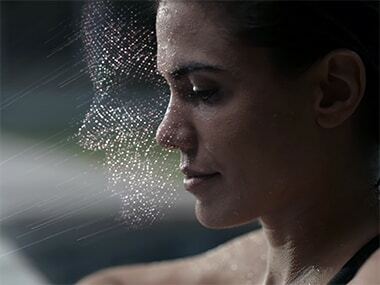 According to a previous report, the Face ID feature comes into place through flood illuminator. In here, basically, an invisible torch light that shines on the user’s face, which illuminates it in a light spectrum. This is only visible to an IR camera. Then a Dot projector paints the users face with something like tiny lasers. Thirty thousand of these 'dots' are projected on the face. These are captured by the IR camera. The data is used to create a 3D map of the face. This processing happens aboard the A11 Bionic chip and never leaves the phone. The depth map generated is compared to the original depth map of the face for authentication. In any case, if Face ID does not work for the user, there is always an option for a passcode.